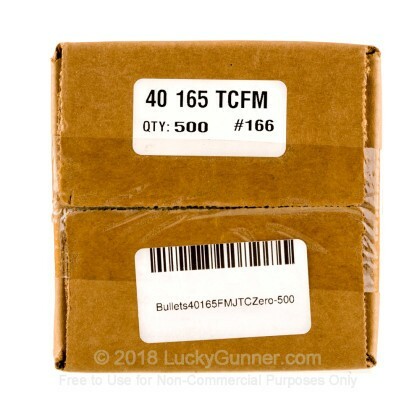 This package of 500 full metal jacket truncated cone projectiles is a fine choice for crafting some lightweight practice ammunition for your range sessions and matches. The lighter 165-grain bullets will allow you to create some lower recoil rounds which are great for extended practice or introducing a new shooter to the caliber. 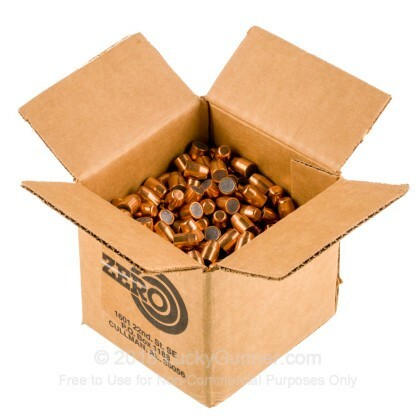 The truncated cone style of bullet has a sloping wall and flat head which makes very clean and clear holes in paper and cardboard targets. This is great for precisely differentiating between shots during training or matches where the most scrutinizing scorers may try to call your border hits into the lesser zone. 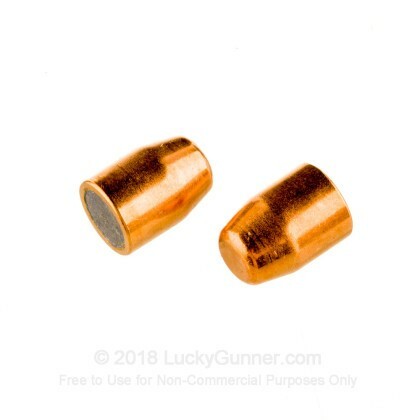 Zero Bullets feature a true full metal jacket which will withstand the velocity of typical .40 S&W or 10mm Auto ammunition when you load to major power factor.